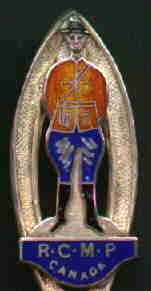 A very large percentage of the Canadian Souvenir Spoons have enamel finials. This seems to have been a general trend and it adds to a spoons character. I definitely enjoy the spoons where one color spreads into the next. The Autumn Maple leaf spoons are particularly pretty in this regards. 2. Bowl: "The Bore", Petitcodiac River, Moncton, N.B. 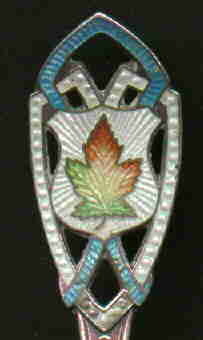 This gold plated spoon has extensive enamel work including the maple leaf and around the edge. The bowl has an embossed picture of the Ontario Parliament Building, Toronto. This is a particularly beautiful spoon. 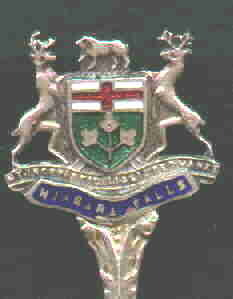 A very similar piece with different enameling is shown on the other Canada page. 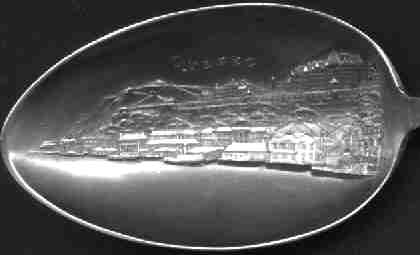 1. bowl engraved Prince Rupert, B.C. 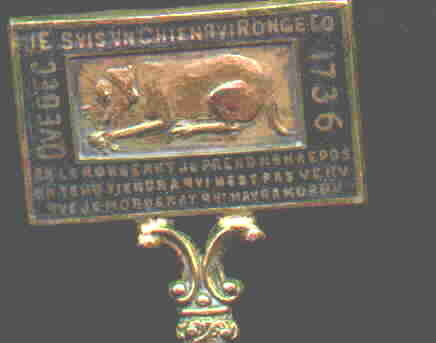 "I am a dog gnawing a bone"
when I will bite those who have bitten me"
manufactured, Quebec was a fashionable tourist destination, and many tourists would go to the post office to mail their post cards home and see this carving and want a souvenir of the place. William Kirby(1817-1906) published the Golden Dog 1877 and revised in 1896. 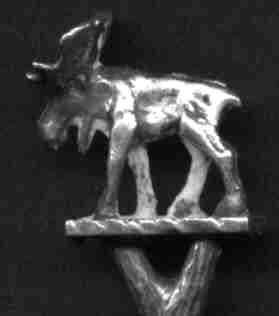 This information was given to me by Peter Kaellgren of the ROM museum." 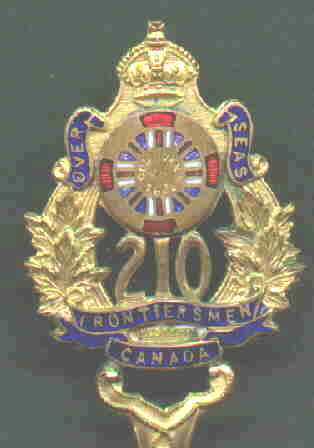 "This is the badge of the 210 Battalion of the Canadian Expeditionary Force 1916. 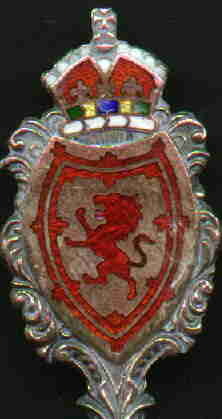 The circular device is that of the Legion of Frontiersman which was recruited in Moosejaw Saskatchewan. Absorbed by the 19 Reserve Battalion - the 210 served in the UK during WWl." Thank you, David, for this information. This spoon is a funeral spoon. A memorial commemorative of this important man. "For forty years" (says a writer) Sir John has been "a representative of the people in parliament, for thirty years the trusted and beloved leader of the great Conservative party, and for twenty-five years the premier of the Dominion of Canada". 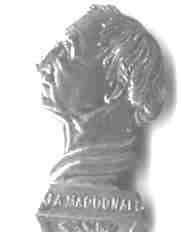 His own words in 1873, "there does not exist in Canada a man who has given more of his time, more of his heart, more of his wealth, or more of his intellect and powers, such as they may be, for the good of this Dominion of Canada."